NEW RSO ALBUM, ‘OTHERBODY, A BRIEF MUSICAL ALLEGORY’ NOW AVAIL. 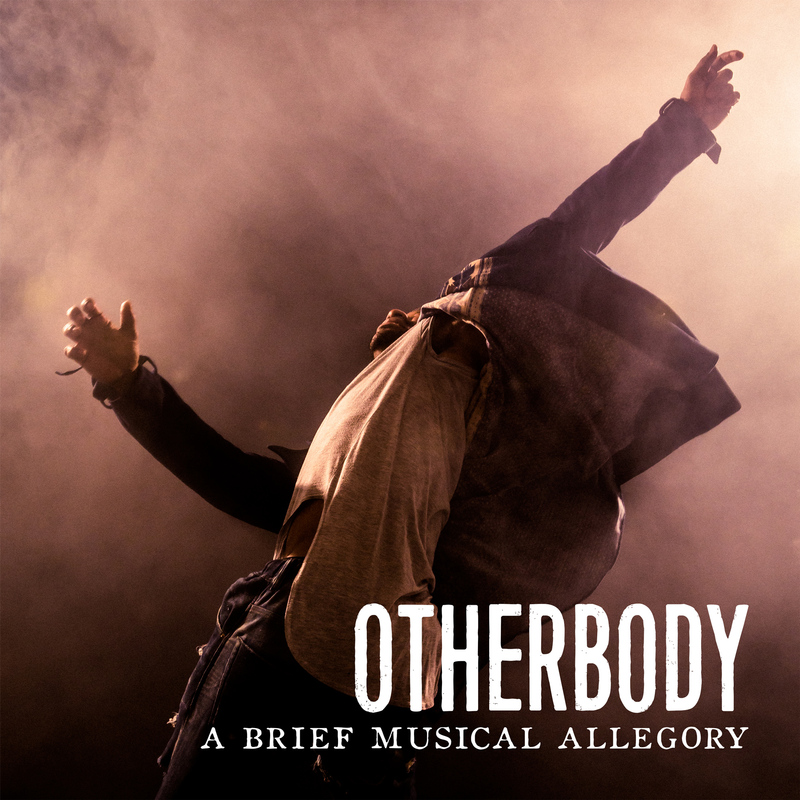 OTHERBODY is a brief musical allegory on otherness and survival in the new nation, written by Nessie Nankivell (book) and Ryan Scott Oliver (music and lyrics). It is suggested by the Gothic short story “The Outsider” by H. P. Lovecraft. In the eerie, allegorical world of OTHERBODY, a nameless TELLER lives apart, never having seen his own face, heard his own voice, or even experienced daylight. He escapes into the world to find the truth, and discovers a raucous party — and the horrifying reality of his world. Ours is a time when people and places are divided; when our families seem more than ever like strangers; and to find a community of allies is a desperate, essential quest. The world of OTHERBODY is our sordid past and our sudden, tragic present — and maybe hope for our future. It was recorded on December 12, 2012, starring Nicholas Christopher and directed by Jen Bender. Discover OTHERBODY, A BRIEF MUSICAL ALLEGORY anywhere music is streamed and sold, and find out more here. On Friday, January 26, BroadwayCon will open at the Javits Center with a brand-new forty-five minute musical by RSO, featuring Alice Ripley, Carolee Carmello, Anthony Rapp, James Monroe Iglehart, LESLI MARGHERITA and more. RSO wrote the script and an original song for the piece — which tells the story of Carl (Sam Tanabe) who must stop the hateful, corrupt politician @Mayoress (Lesli Margherita) from banning Broadway! Additional material is by Tessa Netting, David Alpert and Andrew Briedis. 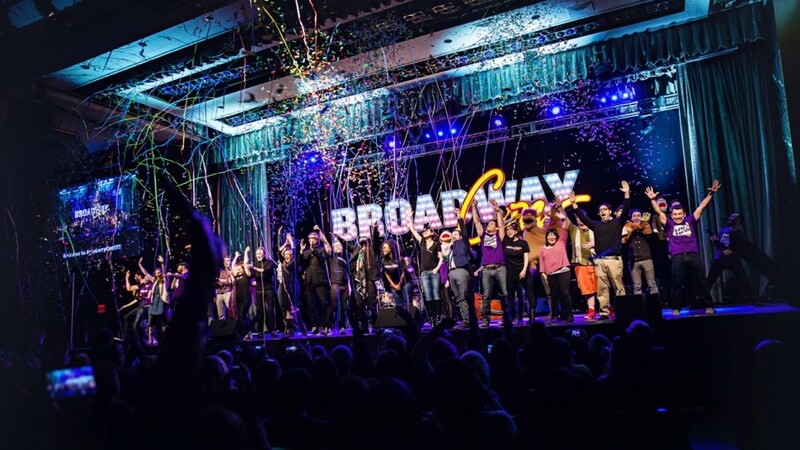 Thousands of Broadway fans are expected to attend the second-ever BroadwayCon. From celebrity talkbacks, to first-look performances and workshops, BroadwayCon 2017 will be packed with unforgettable experiences. BroadwayCon brings you through the stage door to be part of the excitement that happens onstage and behind-the-scenes. It is a place where Broadway fans come together to celebrate the shows they love with people who bring them to life. It’s co-presented by Playbill, Mischief Management, and Anthony Rapp. RSO opened Lincoln Center’s acclaimed American Songbook series with a free concert on Tuesday, January 19th in the David Rubenstein Atrium. RSO was joined by Kerstin Anderson, Nick Blaemire, Ben Crawford, Jason Gotay, John-Michael Lyles, Julia Mattison, Derek Klena, Lindsay Mendez, Katie Thompson, Betsy Wolfe, and more! For the third year, through Lincoln Center’s partnership with PGIM, the global investment management business of Prudential Financial, Songbook’s “Invest in the Future of American Song,” gave members of the public the opportunity to select the artist to open the Songbook season with a free concert at the Atrium. RSO received the most votes, earning him the opening spot on January 19. On March 14, RSO returned to Feinstein’s/54 Below with a concert show featuring the music of ‘WE FOXES’ and ‘ROPE’. The evening featured talents of many familiar faces, including vocal powerhouse Katie Thompson (Giant), Jay Armstrong John (On the Town), Nic Rouleau (Book of Mormon), Alex Wyse (Spring Awakening), Kerstin Anderson (The Sound of Music), and F. Michael Haynie (Wicked, Dogfight). ‘WE FOXES’ is a musical tale of salvation in the face of murderous manipulation set in small-town Missouri, 1945. Set against the Civil War, ‘ROPE’ explores the bonds of brotherhood when a blind boy, Shy, becomes tied to the gang-thief, Clay, and they embark on a quest through war-torn America. On April 14, RSO joined Duncan Sheik, Marc Shaiman and other all-star artists in a concert to celebrate Sh-k-Boom Record’s 16th birthday at Symphony Space’s ‘Leonard Nimony Thalia.’ The music portrayed at the event spanned the spectrum of contemporary and classic theater talent that has earned ShK-Boom records three Grammy awards, twelve Grammy nominations, and a Drama Desk “Special Award.” Among these was RSO’S ‘35 MM.’ The show was represented at the concert with Grace McLean singing “The Ballad of Sara Berry” with Ethan Carlson, Mary Claire Miskell, David Park, and John-Michael Lyles. RSO’s ‘JASPER IN DEADLAND’ (with a book by Hunter Foster) released a cast album on May 20. The album was distributed by Sh-K-Boom Records, and featured Matt Doyle as the title character. Sydney Shepherd, Louis Hobson, Andi Alhadeff, Brandi Massey, Bonnie Milligan, F. Michael Haynie, John-Michael Lyles and Kyle Carter rounded out the nine-person cast on the album. The album was produced by RSO and John Clancy (orchestrator), with Nessie Nankivell, Kailey Marshall, and Solomon Hoffman as associate producers. You can purchase the album on iTunes, Spotify, and Amazon. Jasper in Deadland tells the story of 16-year-old Jasper, who journeys into the Afterlife to rescue his recently deceased best friend, Agnes. But in this version of the hereafter – known as “Deadland,” a hybrid of mythology, religion, and superstition – the dead forget Life… And so, too, will Jasper, if he can’t get past the seven circles of Deadland, fearsome Cerberus, heavenly Beatrix, mysterious Mr. Lethe, and ultimately himself. Can Jasper bring his best friend back from the dead, or will he join the dead forever? RSO’s ‘WE FOXES’ was among the five new musicals brought to life at the Village Theatre’s Festival of New Musicals. Through the creative collaboration of nearly 75 artists and writers, performed and directed by the region’s foremost theatre professionals and guest artists from across the country, it will be the first Festival of New Musicals led by newly appointed Associate Artistic Director, Brandon Ivie. Other new musicals of the festival included ‘COSTS OF LIVING’ (book, music, and lyrics by Timothy Huang), ‘HOW TO BREAK’ (book and lyrics by Aaron Gaffers), ‘STRING’ (book by Sarah Hammond, music and lyrics by Adam Gwon), ‘WRITING KEVIN TAYLOR’ (music and lyrics by Will Van Dyke, book and lyrics by Josh Halloway). On August 29, the dynamic duo was reunited as RSO and Drama Desk nominated actress Lindsay Mendez (Significant Other, Dogfight, Wicked, Godspell) presented ‘MUSE & THE MUSIC’ at SubCulture in NYC. The evening featured popular collaborations, never-before-heard songs, mash-ups, stories, and a little gossip. The evening was music directed by Rodney Rush and featured a six-piece band. On September 19, a concert presentation of ‘DARLING’ was put on by RSO and friends at Le Poisson Rouge in New York. ‘DARLING’ was the first musical recorded for The Score, a podcast series focused on new musicals created and produced by Michael Kimmel, John DeLore and Allison Bressi. The evening featured Kerstin Anderson, Ethan Carlson, Chris D’Amico, Jeff Heimbrock, John-Michael Lyles, Jackson Perrin, Daniel Quadrino, Daniel Yearwood, Talya Groves, Gerianne Perez, Catherine Ricafort, Emily Rogers, and P.J. Griffith. The concert evening featured musical direction by Rodney Bush and a seven-piece orchestra. Orchestrations were by Oliver, with additional orchestrations by Solomon Hoffman and Ryan Fielding Garrett. Fernanda Douglas served as music assistant. Nessie Nankivell served as Associate Producer, Ari Raskin as additional Producer, Stephen Ravet was the Stage Manager and Kaleb Tank the Associate Director. ‘35 MM: A MUSICAL EXHIBITION,’ was presented by students at Harvard University in October. In preparation for the show, RSO and original cast member Lindsay Mendez ventured from New York to Cambridge, MA to work with Harvard’s ‘35 MM’ production team. The duo presented two master classes which were presented by Learning From Performers, a program of the Office for the Arts at Harvard. The first master class, a seminar led by RSO, focused on creativity in art-making. The second master class, a workshop led by RSO and Mendez, allowed students to perform and receive feedback. This workshop was modeled after Oliver and Mendez’s Actor’s Therapy program. On November 5, a concert performance of ‘35 MM’ was presented at the TimesCenter in Manhattan as a part of Prospect Theater Company’s 2016 IGNITE Series. The evening featured original cast member Lindsay Mendez, Drama Desk Award winner and two-time Tony Award nominee Mary Testsa, Joe Iconis, Lauren Marcus, Ali Stroker, Andi Alhadeff, Susan Blackwell, Ally Bonino, Noel Carey, Max Chernin, Dan DeLuca, John-Michael Lyles, Julia Mattison, Chris McCarrell, Andrea Ross, and more. The evening also featured a mixed choir of collegiate performers from Marymount Manhattan College, the NYU Steinhardt Vocal Performance program, Pace University, Rider University, and Wagner College. This presentation was directed by RSO and music directed by Joshua Zecher-Ross. The performers were backed by an ensemble of six musicians. Vocal arrangements and orchestrations were done by Oliver with additional percussion arrangements by Jeremy Yaddaw and additional guitar arrangements by Matt Hinkley. On November 21, RSO returned to Los Angeles with a concert at Rockwood in Hollywood. The evening showcased selections from RSO’s numerous works including ‘MRS. SHARP,’ ‘DARLING,’ ‘35 MM,’ ‘JASPER IN DEADLAND,’ ‘WE FOXES,’ ‘OUT OF MY HEAD,’ and more. Bringing the material to life was an all-star group of performers consisting of Kerstin Anderson, Jason Michael Snow, Eric Krop, Ben Davis, Jared Gertner, Deborah S. Craig, Carly Jibson, Andrew Samonsky, Kate Reinders, Anna Grace Barlow, Chris Meissner, Kate Pazakis, Katherine Washington, and others. 2016 has been full of excitement, endeavors both familiar and unknown, and incredible people, collaborators, and audiences. We thank you for being a part of it all. Stay tuned to see what’s in store for 2017! On November 21, acclaimed composer-lyricist Ryan Scott Oliver will return to Los Angeles with a concert at Rockwood in Hollywood. Show time is at 8:00pm. Featured that evening will be: Kerstin Anderson(The Sound of Music National Tour), Jason Michael Snow (The Spongebob Musical, The Book of Mormon), Eric Krop (Godspell), Ben Davis (The Sound of Music National Tour), Jared Gertner(The Book of Mormon), Deborah S. Craig (25th Annual…Spelling Bee), Carly Jibson (Fat Camp, Cry-Baby), Andrew Samonsky (The Mystery of Edwin Drood), Kate Reinders (Something Rotten! ), Anna Grace Barlow (Scream Queens), Chris Meissner (Grease Live! ), Kate Pazakis (The Best Little Whorehouse in Texas), Katherine Washington, plus more to be announced – and the composer himself. Attendees can expect to hear selections from RSO’s numerous musicals including Mrs. Sharp, Darling, 35mm: A Musical Exhibition, Jasper in Deadland, We Foxes, Rope, Out of My Head and many more. Emily Clark and the Unknown Artists will co-produce, and Rodney Bush will music direct the 5-piece band. 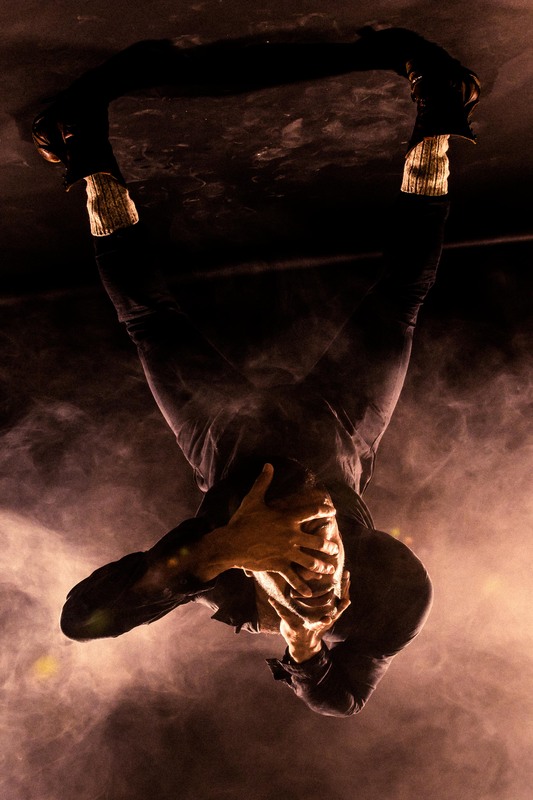 Oliver was called “the future of Broadway… a major new voice in musical theatre” (Entertainment Weekly) and is “shaking up musical theater with his dark, twisted and genius work … [Oliver] could very well be musical theater’s answer to an auteur filmmaker or a gothic novelist” (Huffington Post). He is the winner of a Larson Grant, Rodgers Award, ASCAP Harold Adamson Award, New Musicals Awards from Weston Playhouse, Pace University, and Lortel Award Nomination. He wrote the music and lyrics for Jasper in Deadland (premiered off-Broadway and remounted at Seattle’s 5th Avenue Theatre), 35mm: A Musical Exhibition (licensed by Samuel French, original cast recording avail. on Ghostlight Records), Darling, Mrs. Sharp, Out of My Head, and more. He is currently at work on a trilogy of new musicals beginning with We Foxes and continuing with Rope and Three Points of Contact, both currently in progress. More info can be found at ryanscottoliver.com, and his morbidly optimistic musings can be followed at @ryanscottoliver. Rockwell Table & Stage is located at 1714 N. Vermont Ave. Tickets are on sale for $20/$30/$40 at Rockwell-la.com. A concert presentation, featuring original cast member Lindsay Mendez, will be held next month. Prospect Theater Company will continue its 2016 IGNITE Series November 5 with a concert performance of Ryan Scott Oliver’s song cycle 35mm: A Musical Exhibition at The TimesCenter in Manhattan. Lindsay Mendez, a cast member of the musical’s Off-Broadway premiere, is among the cast. The 8 PM concert will also feature Drama Desk Award winner and two-time Tony Award nominee Mary Testa (Queen of the Mist), Joe Iconis (Bloodsong of Love), Lauren Marcus (Broadway Bounty Hunter), Ali Stroker (Spring Awakening), Andi Alhadeff (Jasper in Deadland), Susan Blackwell ([title of show]), Ally Bonino (Myths & Hymns), Noel Carey (Murder for Two national tour), Max Chernin (Bright Star), Dan DeLuca (Newsies), John-Michael Lyles (Jasper in Deadland), Julia Mattison (Godspell), Chris McCarrell (Les Misérables), Andrea Ross (The Sound of Music national tour) and more. The evening will also feature a mixed choir of collegiate performers from Marymount Manhattan College, the NYUSteinhardt program in Vocal Performance, Pace University, Rider University and Wagner College. Directed by Oliver with music direction by Joshua Zecher-Ross, performers will be backed by an ensemble of six musicians. Vocal arrangements and orchestrations are by Oliver with additional percussion arrangements by Jeremy Yaddaw and additional guitar arrangements by Matt Hinkley. In 35mm, according to Prospect, “each photograph provokes a song: a glimmer of a life unfolding, a glimpse of something happening.” Originally premiered at Brooklyn’s Galapagos Art Space in 2012, it has since received over 75 productions worldwide, including Australia, Japan, Canada and the U.K. The TimesCenter is located at 242 West 41st Street. For more information and tickets, visit ProspectTheater.org or call (212) 352-3101.